When Cuphead was revealed during the recent Nindie Direct presentation, it somewhat confirmed rumours about Microsoft bringing a selection of Xbox exclusives to the Nintendo Switch. As surreal as it might be, it's got many people wondering how such an idea came about in the first place. 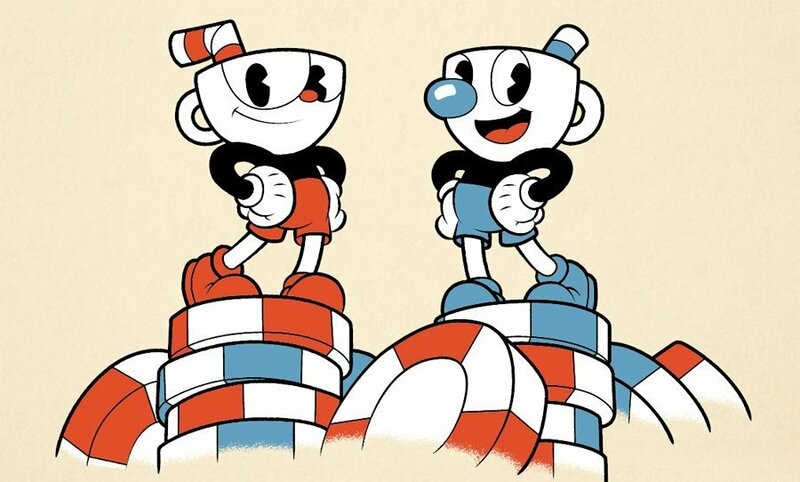 According to Daniel Bloodworth from Easy Allies – who spoke to one of the Cuphead developers at the 2019 Game Developers Conference yesterday – Microsoft actively approached StudioMDHR and asked the team if it would create a Switch version of the classic run and gun 2D platformer. Over the past few months, Microsoft has stated how it wants more people playing its games and using its services. During an interview with GeekWire not long ago, the head of Xbox Phil Spencer said the company was eager to push cross-device play and expand the reach of its Game Pass service. Just yesterday, it even said Switch users could look forward to "more games" like Cuphead coming to Nintendo's hybrid device with Xbox Live-enabled services over the next year. Are you surprised Cuphead made the Switch? Tell us below. That's really cool, I'm loving this relationship between Microsoft and Nintendo. Excited for the future. Then they'll turn around and make Cuphead 2, & make you get the new XBOX in order to play it. I don’t see what Microsoft has to gain from all of this, but I absolutely love it. @thesilverbrick xbox is not very popular in Japan, I guess that this could help, if people in japan have contact with their games through Nintendo consoles. Now they just need to ask Rare to bring RareReplay! The future of gaming, and humanity itself, is with inclusiveness. Well done to Microsoft and Nintendo for leading the way. I mentioned this on Push Square already but aside from Xbox, Microsoft has always been more of a software company, rather than a hardware company. They've made their fortune pushing products that see on a huge range of devices. Windows and Microsoft Office are as standard as it gets. So I see these recent moves as Microsoft moving back in that direction, trying to get their content onto more devices. While they likely wont abandon the Xbox line, I suspect it will become much more of a secondary agenda for them as they try to push their games out on PC, tablets and possibly even Switch. I could totally see a future of Microsoft where they abandon Xbox exclusives altogether, and instead just release their content first on native platforms, and then maybe a year or 2 later make it available on others. Let's go with my personal hope - Halo 1-3 and Reach coming to Switch - unlikely though that might be, Microsoft would still own the IP, would still profit off of their sales, and could sell to an audience that many members of which haven't played those games. And this would drive players to potentially buy their newer releases on Microsoft's native platforms, or have to wait several years before they release elsewhere. @Heavyarms55 Many people would tell you that the opposite is true. "Hey MDHR, developers of one of Xbox's most universally beloved console exclusives, it's Phil. How about you make it not a console exclusive anymore?" ...at least that's how I imagine how the conversation would've gone in my head. regardless, this whole thing is insane and I love it. "Microsoft actively approached StudioMDHR and asked the team if it would create a Switch version of the classic run and gun 2D platformer." I'm wondering if Nintendo is going to return the favor for Microsoft. Like will there be Splatoon gear in Halo or something like that? @Elvie If I were to guess, make their streaming service the premier one. With Stadia coming, itd be a good idea to pair up with Nintendo on this one. In turn, MS could help with Nintendo’s online service and itd be wise to have their input and assistance in making Nintendo’s next gen system. Make it so that that system is fully capable of their stream service. @Elvie oh and also, no way they going to bring anything Nintendo to XBox. Thats bad as Nintendo is protective of their IP and when MS is going the Sega route instead of Nintendo who was the one to be “Nintendoomed” over the years. We dont want anybody to have the wrong image. @GetShulked Besides Cuphead, Rare Replay is the Microsoft title I want the most. At this point in time and considering everything that's happening lately, I don't see why it wouldn't happen. In fact, I'd say expect it. Held back from purchasing it on other consoles or PC in the hopes this would happen. To me personally it feels like the perfect game for the Switch. I just want to know if it’s going to be compatible with Xbox play anywhere. If so I’ll buy it. I’d be great if I can pick it up where I left off on my PC/Xbox. According to my 30 years experience working with companies such as Microsoft, Sony and Nintendo, I'll give you the real reason why Microsoft is doing this. @Starburst Same here. I never thought that such a relationship would happen. Microsoft doesn't really compete with Nintendo on their userbase but against Sony and now Stadia. Just look at what sells on each system. I suspect that Microsoft is subtly pulling a Sega. I’m glad they’re doing this. I hope it leads to Perfect Dark and Halo coming to Switch. People mention Stadia, but honestly I think people would want to own their games—even if they buy them digitally—with Stadia being a “secondary” thing. Microsoft and Nintendo should be worried but they needn’t be too worried. Never underestimate the will to own something. I just hope Rare Replay comes to the Switch and maybe they could come to an agreement for Diddy Kong Racing. I've got said games on my Xbox One and N64, but still. @thesilverbrick personally I think MS are turning the Xbox brand into a service where they envision Xbox being playable across lots of devices and they won’t necessarily have their own hardware. Their recent acquisition of studios will help them have exclusives to that platform (to gain subscriptions). They are thinking ahead. I believe this is just the start of that so while this “relationship” with Nintendo seems like a couple of buddies being friendly, I think it’s more a case of MS beginning their 10 year plan of making Xbox available to as many gamers as possible. I'd take that as 'Told' what are they going to say No? Plus they've been itching to bring it to everyone else outside of their exclusivity contract. Let’s consider what we know. We know these big companies believe streaming is the future. We’ve heard it from Ubisoft, we’ve heard it from EA, we’ve seen it with Capcom, Sony and Microsoft, we’ve observed firsthand with Google jumping into the streaming market, and now we have MS putting their games on Switch. So. Why would they do that? Well, if all the top players believe streaming is the future, then Microsoft believes streaming is the future. Which means you might not be taking Stadia seriously, but you best believe Microsoft is. And if they believe that’s the future- that’s where gaming is headed, then the race is on to gain marketshare and mindshare as fast as possible. The marketshare they are addressing with Xcloud. But that still leaves mindshare. They need to cultivate the largest brand awareness possible before the transition occurs. Not only that, but everything moving forward from this moment until that transition is, in their mind, numbered days. Why not take advantage. It’s like, if the world is ending in 5 years, why not put your games on another system. It won’t matter once the world comes to an end anyways. And the transition to streaming, for them, is the “end of the world”, at least, the current one. Microsoft wants mindshare, they want brand loyalty, they want people to know there are good games associated with their platform. And the best way to show people that is bring the games to them on a silver platter. And as a bonus make more money in the meantime. So they did the same thing Nintendo did with Shovel Knight? That’s so cool. @thesilverbrick lot's and lot's of money? @KingdomHeartsFan No.. Microsoft is doing the exact opposite. They are creating a platform to play games on. Either trough streaming (xCloud) or on gaming hardware locally (XBOX, PC) and they are expanding their platforms to third parties willing to connect to it (Nintendo, iOS, Android). XBOX soon will be more than just a console. I guess MS is folding on the whole exclusive hardware thing then? I don't know. I mean, that's great we get Cuphead, that's cool, but I don't know what MS is doing. Does MS know what MS is doing? Is everything going to become like Google Stevia and exclusiveness doesn't matter? Just publish on anything? @locky-mavo Shovel Knight launched on Windows the same time that it did on Nintendo consoles. @RickD Every step MS made has been calculated. XBOX Play Anywhere (PC & XBOX) made it possible to pay once for a download game and play it on 2 platforms. However this does require the use of the Microsoft Store on Windows. Furthermore binding people to Microsofts platform. XBOX Game pass is another example of connecting players directly to their platform. However this does also give MS a lot more money for each subscription they sell. XCloud is like GamePass, it connects you to their platform. But it doesn't require you to own their hardware. Giving them another millions of possible players who don't have a gaming PC or XBOX ONE. Actually this is comparable to ALL markets MS is in. Look at Office 365, .NET / Xamarin / .NET Core / etc. All connecting people that don't use Microsoft's Windows or hardware to their platform. Google is doing the same thing with stuff like Youtube Premium, Stadia, Google Apps / Gmail, Android, Chrome. Apple is doing the same thing with iTunes, Apple Music, Apple's new streaming service, and I think someday Apple will also compete with Stadia. And Nintendo.. well to stay relevant they will have to join this new market as well. Either team up with Google or MS, or start their own streaming service. And seeing the support MS is getting onto the Switch, I have a feeling it will be MS. I am happy that Cuphead is coming, but I also know Microsoft has a hidden agenda. I mean, what does Microsoft gain with bringing one of their (downloadable) crownjewels to Switch. Are they hoping to buying Nintendo in the future? Hopefully not!! One platformer that I keep forgetting about is Super Lucky's Tale. That would fit right in with Switch, and is a nice little 3D platformer. @sanderev Microsoft are expanding where people can access their games. In doing so they remove the need for people to purchase their consoles. Which demonstrates to me a move away from the dedicated console market. Just as Sega once did. Rather, they set up platforms for their games on other people's hardware. None of the hard work but all of the benefits. Sensible decision on their part. Especially since Xbox has been all but forgotten about this generation in the face of Nintendo, Sony and the PC's overwhelming presence. 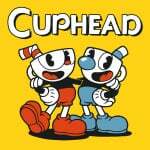 @Lionyone As did Cuphead on Xbox One and PC. Nintendo is the publisher for SK in Japan and Nintendo encourage Yacht Club Games to port SK to other consoles. Sounds similar to me. Rare Replay and SUNSET OVERDRIVE next please. @locky-mavo Shovel Knight was only a timed exclusive on 3DS and Wii U. Nintendo didn’t help publish it on other platforms, and it was always intended to eventually come out on other consoles. Cuphead was supposed to be a permanent XBox exclusive game and it took Microsoft’s assistance to publish it on Switch. This isn’t the same thing at all. @Scottwood101 Maybe in the short term, but I’m just surprised they don’t want to hold onto such a cult hit game as an exclusive. Why make a platform and acquire exclusive rights to games and then give those rights away? It just kind of strikes me as funny, like they’re just removing incentives for people to buy an XBoxOne, you know? I’m not complaining in any way, though; just super confused. Looking forward to playing this! @ddowler85 Love the idea of having SO on Switch, but it probably will never happen... INSOMNIAC is probably working on something Marvel related if I had to guess. Fine!! Now bring over Battletoads!! So the fact Microsoft is publishing Cuphead on the Switch and it will be a multi million seller doesn't translate to you as to what Microsoft is getting out of this? Microsoft is getting a great ally in Nintendo and a truckload of cash. Think of it this way too, if Microsoft can sell two copies of their game to even half of the potential Nintendo customers of say something like Master Chief Collection they will be doing great. Someone may own a Switch for their portable needs and an Xbox One X for their 4k TV. But if both their copies of a Microsoft title can cross use the same save file then you can easily sell two copies of the same software to that type of gamer. @Quinnsdaddy11 By that logic, why wouldn’t Nintendo publish Smash or Zelda on XBoxOne and PS4? They would sell millions more copies. But in the process, they would rob themselves of their exclusive games and compelling reasons to buy a Switch. Sure, Microsoft will sell plenty more copies of Cuphead this way, but anybody who wanted to buy an XBox to play Cuphead no longer has to. The same thing applies to any Microsoft published games. They may sell more copies of the games if they make them multi platform, but they are losing out on hardware sales. Again, I’m not complaining, because I never wanted an XBox, anyway, but this seems like a very shortsighted solution to make some cash. It’s going to likely hurt their overall console sales in the long run. The message I’m getting from Microsoft in all of this is to not buy an Xbox. There’s no reason to, since their exclusive games are probably just going to wind up on a system I already own. I remember the wii360 days, so now it may be switchbox time? I like this version of Microsoft a LOT more than what they were shortly before the Xbone launched. They've slowly been redeeming themselves in my eyes. I wouldn't be surprised if this was just Microsoft's last-ditch effort to get simple brand recognition in Japan. XBOX sales in that country are always abysmal. Phil Spencer is probably just like, if we can't get them playing on our consoles this generation, get them to play our games on Nintendo and get the Japanese hooked on the services so that way by the time the next XBOX launches, it stands a chance at actual sales then. Just my theory but seems to make sense. @manu0 Minecraft was a multiplatform game even before Microsoft bought out Mojang. @SniperGaming Sure, who says that the studio didn't expand and train more animators? @duhsoares21 That's actually a really good point, I hadn't thought of it like that. This could certainly open up MS games to Japan. @thesilverbrick I will try and cover this – what does Microsoft have to gain? As the Switch does not directly compete with the Xbox One in power terms, this ultimately doesn’t hurt Microsoft as it is not like people who buy a Switch are then never going to consider buying an Xbox One. @Yoshi87 I see the logic for the Japanese market, but the other points have holes in them. Selling more games doesn’t justify robbing your console of its exclusives, effectively de-incentivizing the purchase of an XBox One. If that were a good enough reason, Nintendo would just publish all of its IPs on rival consoles, just so they can sell more games. They don’t do that because exclusives are incentives to buy a gaming device. Take those away, and there’s no reason to choose your console over a rival’s. Xbox Live on the Switch isn’t going to do anything more than add achievements at this point. I highly doubt anyone is going to pay a $60 annual fee just to unlock achievements in Cuphead and Minecraft. And saying that the Switch and Xbox one are not in competition with each other is just naïve. They are both gaming devices, and they even share some games in their libraries. Just because there’s a difference in power doesn’t mean that someone wouldn't choose to purchase one over the other. I did. I chose Switch over both Xbox and PlayStation. I’m super excited to play Cuphead, but I can’t help but sit here and scratch my head at this decision. Unless Microsoft is discontinuing their hardware and switching over to just game development and publishing, this is only going to hurt sales of the Xbox. No worries here, because I was never going to buy one, anyway, and I’m looking forward to playing games from Microsoft, but I just don’t see from a business perspective why this makes any sense for them. @manu0 Well if they were just going to gut support of the other platforms it would defeat the purpose of why they even bought the company. @thesilverbrick they’re looking at the long term. The gaming device is ultimately going to be less important than the “platform”. The “platform” is already an abstract thing and Microsoft’s gaming platform is already Xbox live- not Xbox One. When we reach the end game it’s all about content. Exactly the same as with Netflix and Disney etc. When that end game is reached then close contact and good relations/joint ventures with Nintendo make a lot of sense for Microsoft (& Nintendo). Eventually 5-10 years down the line we might see Nintendo games streamed to players on Microsoft’s streaming service. @thesilverbrick You don't need Xbox Live Gold (the paid service) for achievements. Xbox Live on Switch will likely only be the free portion of the service. But it does serve the purpose of getting more people into that ecosystem. And yeah, I think Microsoft is planning to fully merge Xbox with Windows, and make it the premier gaming service, over Steam. Getting a foothold on a console, something Steam has never done, could be huge for the chances of success there. And that's not to say that Xbox won't exist still as hardware, but that they'll simply be under the TV PCs that are limited to games that are available in the Microsoft Store. If they can get all the games released on PC to start having Microsoft Store releases in addition to Steam, then they're console library would be enormous, plus giving them unlimited backwards compatibility. @Tharsman I'd love Xbox Live to be fully integrated into the Switch 2. Why not? It's a good service even free, and it's certainly better than anything Nintendo will offer (like yknow, actual messaging services for one). @thesilverbrick Thanks - just to clarify I'm not saying this is my opinion as such, I am just saying I think this is Microsoft's approach. You can kind of see why. PS4 is about to reach the 100,000 unit mark, whereas Xbox One is nearer to 40,000. That is a seriously big gap. I agree that, obviously, Switch and Xbox One are in competition but I'm not sure that is how Microsoft sees it. From their point view, Switch is never going to compete on the hardware front in terms of graphics and capacity, so they really aren't losing anything by putting their games on the platform. Let's say, hypothetically, that Forza comes to Switch for example. If you want the definitive 4K experience you're still only going to get that on an Xbox One - which is going to get even cheaper when the streaming only model comes out soon. My point being, Microsoft (in the big picture of things) loses nothing from putting their IPs on Switch. You can tell they don't regard the Switch as being in the same territory as the PS4 - otherwise why not just publish Cuphead on PS4 for example? Because Microsoft see Sony as the main enemy and realise that Switch is not the main competition. Least this is how I read Microsoft's thinking. Plus they want Xbox Live to become more of a service. Again if they eventually bring Xbox One games to Switch through streaming they lose nothing - if you want to actually own the games you'll still need to buy an Xbox One. @Wavey84 I mostly have the Xbox One for Rare Replay, a few other games, Xbox 360 games, and original Xbox games. I also have an original Xbox for games that haven’t been re-released. @Heavyarms55 Dreamcast used Windows CE too. @Trajan Oh yeah, there is that too. i even supported Microsoft with terrible Windows Phone experiment. Dont think people will get hooked on Xbox live services but kudos to Microsoft. @Wavey84 No, but it’s on my wishlist. The 360 was pretty faulty hardware, but I liked my brother-in-law’s and there’s a reason my Xbox One is mostly filled with 360 games. The Xbox controllers, aside from the Duke (I have one), are excellent and I love that I can use them on my computer. I bought a fully functional fat PS3 (not PS2 compatible) for about $60 last spring and like it a lot. My PS3 library is mostly exclusives, PS2 HD collections, and PS1 games. I ended up getting an Afterglow controller for it, which I think is comfier than the DualShock 3. The menu is a bit messy, but I do like my “Book of Spells” theme.